That is a gorgeous shot. And an informative comment. Thanks. This brings back memories Harry….. 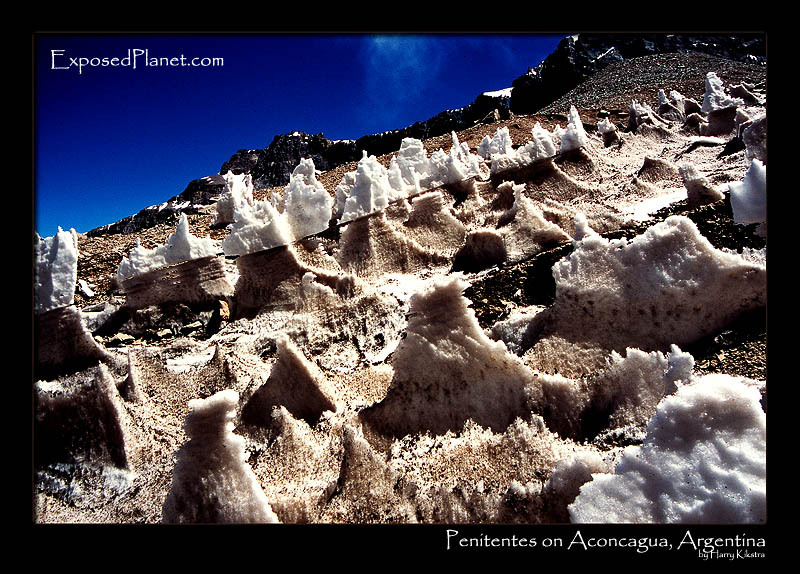 The story behind "Penitentes on Aconcagua, Argentina"
The meters of snow is being shaped by the brute forces of the sun and pounding wind wind into these Penitentes, aptly named after the Roman Catholics that celebrate their Passion with rites involving fasting and self-flagellation.